Vacation Rentals in Michigan such as rentals homes, condos or villas make for the perfect retreat destination away from home. You can enjoy the beautiful lakes, sand dunes and other amazing scenic areas. Lake Michigan is a popular destination for tourists to book a vacation rental. You will enjoy several activities when staying at this gorgeous lake including; boating, swimming, fishing, snorkeling, amongst many others. Enjoy the day shopping at one of the many high end shops, galleries and begin the evening with upscale dining. Some of the popular areas to enjoy Lake Michigan are St. Joseph, South Haven and Saugatuck. Guest staying in a Michigan Vacation Rental can enjoy the oudoor life at Grand Haven. This area features 176 miles of hiking trails for individuals and families to explore. Enjoy scenery and wildlife when retreating in Grand Haven, MI. While visiting Michigan you can enjoy a round of golf at one of the challenging courses located in Muskegon or test your luck at the Horse Track. The sand dunes found at Sleeping Bear Dunes National Lakeshore is the perfect destination for those who enjoy physical activities. The views of these steep sand dunes are absolutely amazing leading to the lake. You will find individuals hiking the trails, canoeing the river and cross-country skiing at Sleeping Bear Dunes. I personally know a cross-country team that goes there each summer to train in the dunes and they absolutely have a blast. Be sure to include this in your agenda of places to visit, while on vacation in Michigan. Traverse City, MI provides year round fun for tourist. In the summer you can enjoy boating, swimming, sun bathing and fishing at Grand Traverse Bay on Lake Michigan. Dine at one of the amazing lake side restaurants, while watching the boats at sunset. Enjoy the winter at Traverse City with skiing, snow mobiling and cross-country skiing. With Lake Michigan located on the eastern part of the state, there are two more "Great Lakes" located on the western part. Lake Erie and Lake Huron are found at the western part of Michigan and attract a large amount of tourist annually. You can enjoy some amazing smallmouth bass and walleye fishing at Lake Erie. Michigan is surrounded by these three great lakes on the north, west and east part of the state. Popular destinations located in Northern Michigan include Mackinac Island, Bellaire, Shanty Creek, Boyne and Harbor Springs. As you can see the options are endless in a Michigan Vacation Rental. Find the ultimate selection of rental homes, condos, villas and cottages right here atwww.ivacationonline.comdirect by owner. 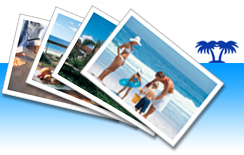 So book your next vacation rental right here at ivacationonline.com with ourvacation rental software.